William Graham was born c1850 in NSW, the son of Johnston Graham and Mary Jane Nelson. He married (1) Rebecca Blow (1847-84) 18 February 1879 in the Wesleyan Church, Kiama, NSW, and they had two sons and a daughter. He married (2) Annie Wilson (1845-1913) 11 April 1888 at the residence of Mr Roseby, Longueville, NSW. William Graham died 21 May 1933, aged 83 years, at 83 Phillip Street, Waterloo, the residence of his niece and he was interred in the Methodist section of Rookwood Cemetery. He left a Will and his estate and assets were valued at £2,182. William Graham lived at Clarence House, Ivy Street, Darlington. William Graham spent his early life on the land in the Illawarra district and was subsequently engaged in the produce trade with Messrs W C Robinson and Co, of Sussex Street, Sydney. He retired from business in 1925. Graham was a member of the Darlington Branch of the Australian Defence Association. A framed address, bearing the corporate seal of the municipality, was presented to Alderman Graham in March 1927, to mark the completion of his 40 years service. William Graham was an alderman on Darlington Council in 1887-1925 and 1928-33. 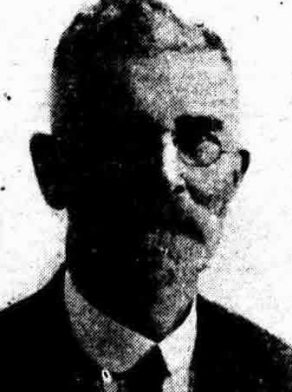 He was mayor in 1910, 1913-14 and 1925.